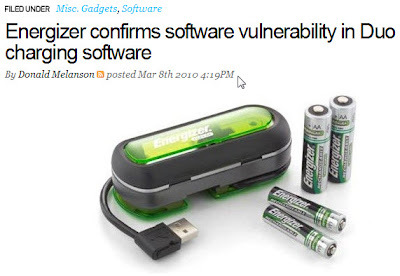 Jacko.MY: MSE Kills Energizer Hackers! I think I mentioned in one of my gadget posts before that unifying my gadget chargers is part of my "gadgetry vision" so that I don't have to carry so many chargers when travel. 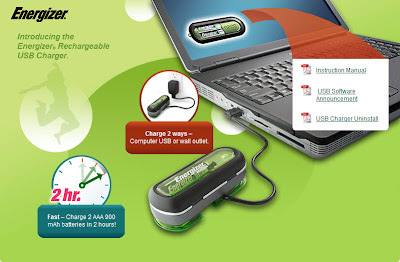 Following that I have a requirement for all my new gadgets to comply, which is to be USB chargeable. Good result! 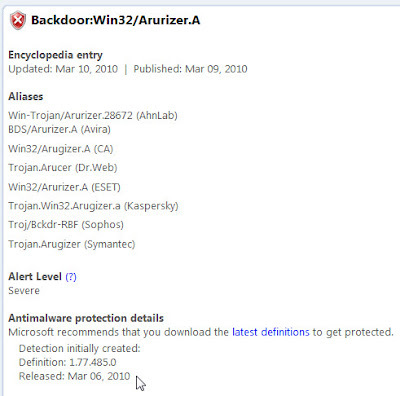 MSE detected it! No blame to MSE to miss this folder in past scans 'cause this folder isn't on any of my Windows machines but NAS. I don't know if other AV products would yield the same result, but at least MSE keeps a fussy user like me happy with it. Without the timer but do I really care how long charging time is since I know it's a 2-hour quick charger? Last, thumbs up to MSE! Thumbs down to Energizer!